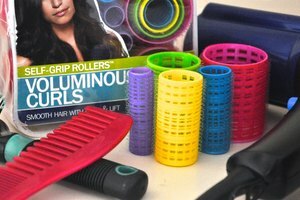 Soft twist rubber rollers can help make hair super curly. You can purchase the rollers from any beauty supply or drug store. The rollers come in different sizes to achieve different curls. 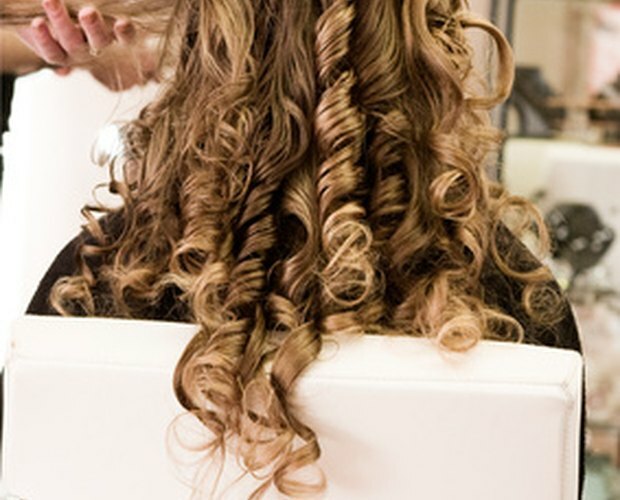 If you're looking for short, tight curls, use long and thin rollers; for loose big curls, use short and fat rollers. Because they're made of soft rubber they can even be worn comfortably at night while you sleep. Use the rollers in wet or dry hair to get adorable curls. Section off a small piece of hair at the top of your head (the section should be about 1 inch wide). Place the roller at the very bottom of the section of hair. Twist the hair up into the roller. Roll the hair up until the roller is right on top of your head. Fold the roller in half to keep it securely in place. Continue these steps until all of your hair has been sectioned and twisted into the rollers. Leave the rollers in wet hair overnight. For dry hair, add a spritz of hairspray across the rollers and leave them in for 1 hour. Unfold the rollers, then untwist them from your hair. Spray a little hairspray across your hair to keep the curls in place all day.